I'm building out a form at the top of page, where we are collecting 3 pieces of information. Would it be best to display this one line at a time or show all at once? Scenario 1: - The first form field shows up. Upon being filled out, a second field appears underneath it. 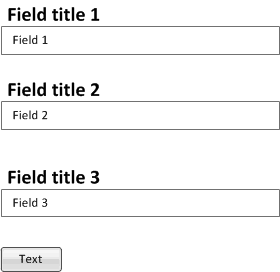 Once that is filled out, the third and final field appears below that. So the form expands as it's being completed. Scenario 2: - All 3 fields appear at once. If you have only three fields then you can choose single page with the same order. If you have more than ten fields you can select step by step form approach. And one more suggestion, we must reduce user typing for example we can give suggestions for industrial list so user can easily select instead typing. You should show all the files together. It does not require the progressive load approach (one by one) as the form is small and does not dynamically change based on user choices. Align the files in one column as it makes scanning and filling easy. Also, for the address field as it can be long use a multi-line field. Looking at the form it context, I am not sure if you want to capture home / office address or email address. If later is the case, then change the label accordingly. Small enhancements like including Currency symbol on for Revenue field and including examples for Industry type if you are not making it a drop down would be helpful in suggesting users what to fill. Yea, for short forms, just show all three fields in the order that you want them. Fields should be flush left and the Submit button should also be flush left. 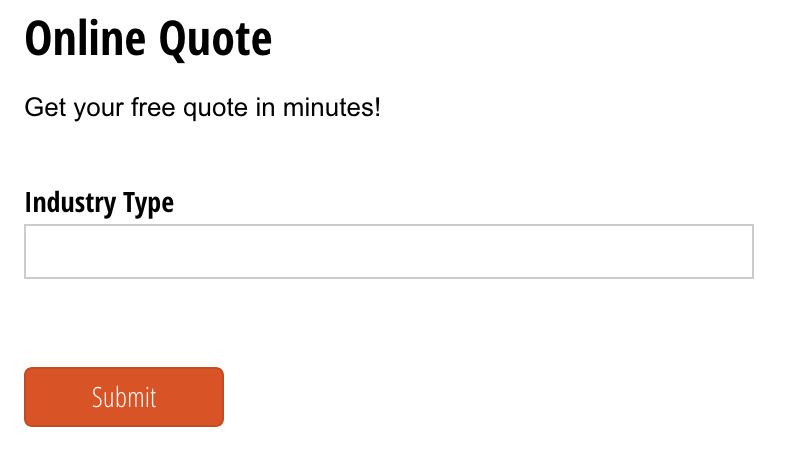 Don't subject your users to long forms. Not the answer you're looking for? Browse other questions tagged forms layout wizard or ask your own question. Disabled submit button on form vs allow submit then show errors? When is it appropriate to change a site's tabindex? Name on card, or Card number first? How to briefly indicate textarea field will not be submitted if another field is not checked? Is it feasible to edit multiple selection using a form?